Over the past couple weeks, we’ve discussed tips and tricks for navigating DocsOnWeb, particularly regarding CIM GOLD help documentation. We hope that GOLDPoint’s massive help database has begun to feel less intimidating and more navigable. Today, we’d like to introduce one of the most useful tools in your arsenal for quickly finding information about specific fields: The Mnemonic Dictionary. While a master list of CIM mnemonics is pretty handy by itself, the real usefulness of the Mnemonic Dictionary comes from its searchability. Using the dictionary to look up mnemonics is a fast, efficient, and easy way to find information about specific CIM fields in DocsOnWeb. Let’s illustrate this process with an example of an employee who wants to use DocsOnWeb to learn more about the First Due field on the Loans > Account Information > Account Detail screen. Isn’t that so much nicer? 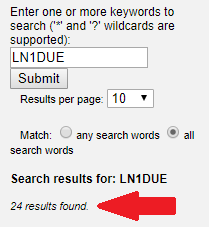 The employee clicks on the single search result to be taken to LN1DUE in the Loan Master table (highlighted for convenience). 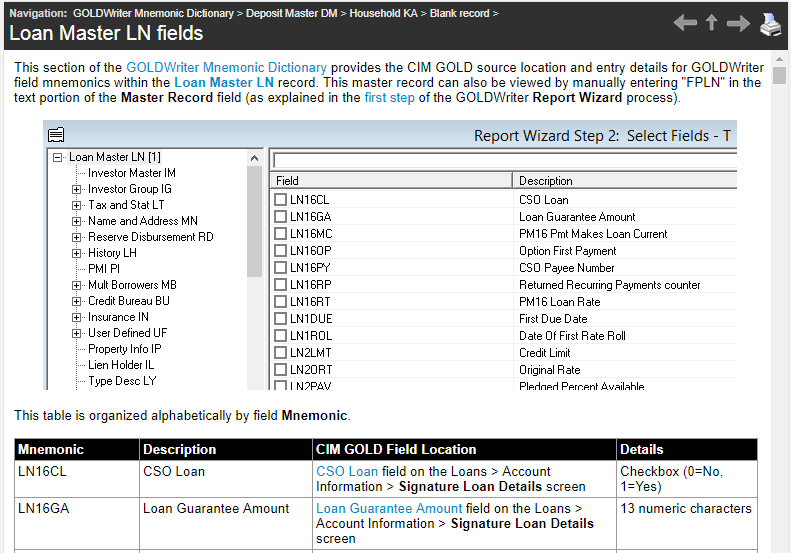 Here, the teller will find a link to help documentation for the First Due field, as well as a list of CIM GOLD screens where the field is located. Many GOLDPoint clients already know about the Mnemonic Dictionary and love using it. 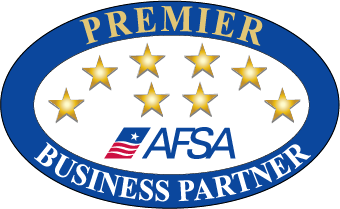 Many other clients need the Mnemonic Dictionary but haven’t yet realized it’s available. Tell your employees and coworkers about the Dictionary so it can make everyone’s lives easier! 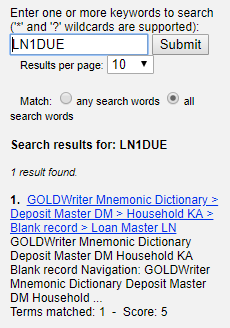 The Dictionary is located in the GOLDWriter manual in DocsOnWeb (accessed from the Reports tab at the top of the screen). Click the eyeglass symbol on the top-left of the screen (the local search function) to search the Dictionary specifically (see example screenshot below).